Our line of economical floor spinners includes 2-sided, 3-sided, 4-sided, and hook options. 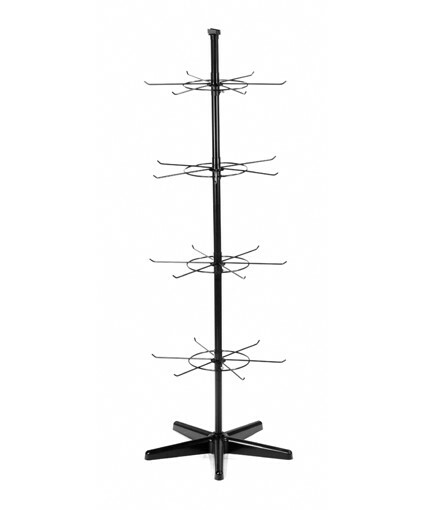 All of these displays are made of wire and feature knock-down construction with easy assembly and no tools required. They are also economical for shipping and storage. 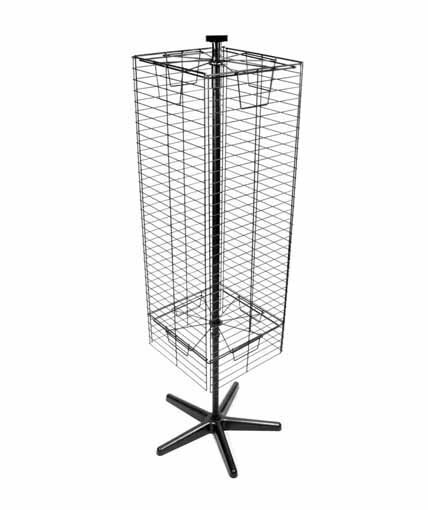 Several of our displays include metal grids which can accommodate hooks of various lengths, shelves, baskets, cap pockets, and other merchandising accessories. 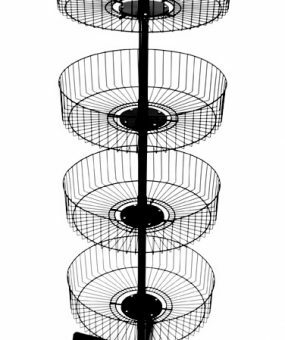 Our spinning hook display is available with different hook configurations, and the hook tiers are vertically adjustable to accommodate a wide range of products. 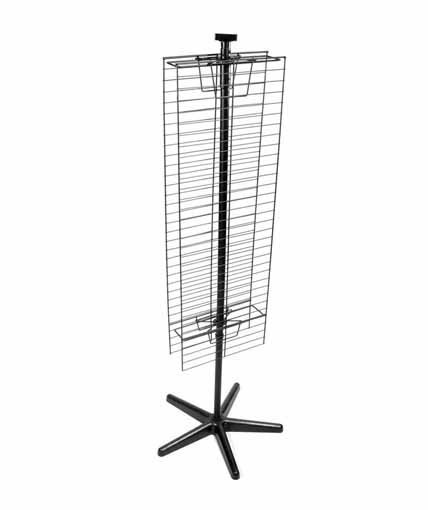 All of these displays are designed for merchandising programs that have tight budgets. These displays are ideal for any pegged product such as cell phone accessories, personal care products, and gift and novelty items. They are also a good choice for products that are typically merchandised on shelves or in baskets. 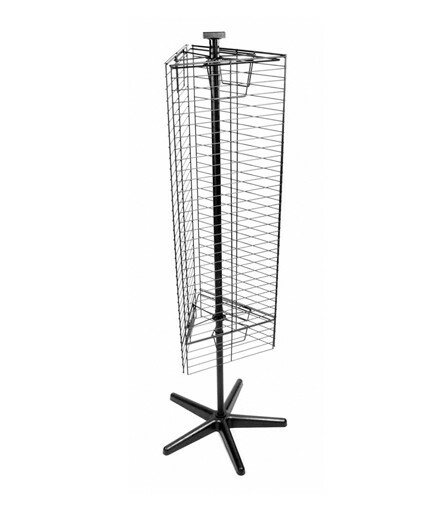 Our floor spinners can be place in any location in a store and can be effective against a wall of in a corner location. They are a great choice for convenience stores, grocery stores, specialty stores, general merchandise stores, and other types of retailers. All of them come with a plastic sign holder that can accommodate a header sign. Our in-house graphics department can help you create signs that can promote your product. If none of these displays works for you, let us know, and we will design a custom display that meets your needs.